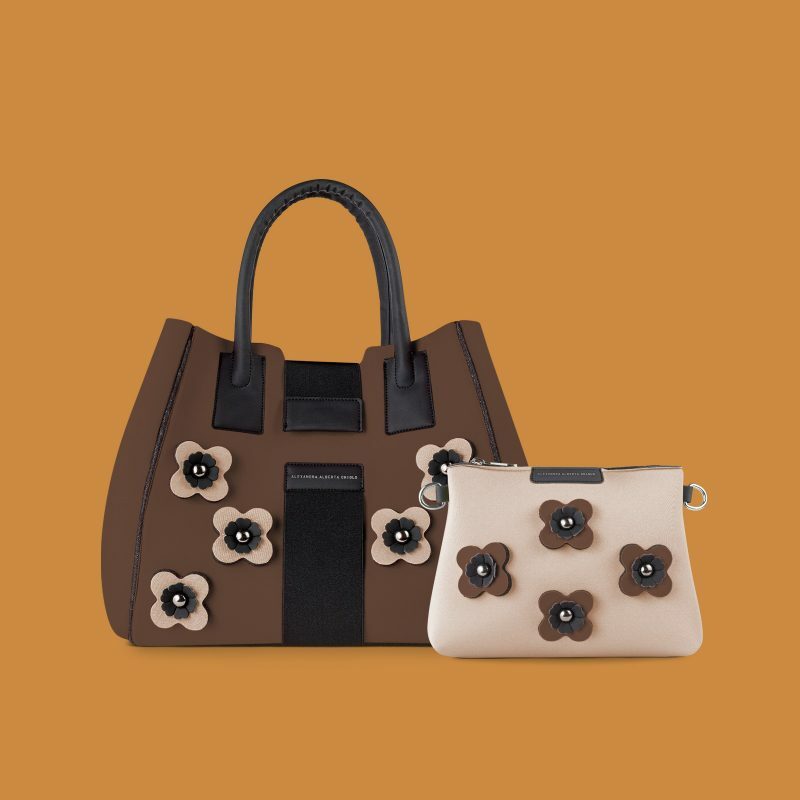 Medium size version of the iconic Bag, same distinctive design. 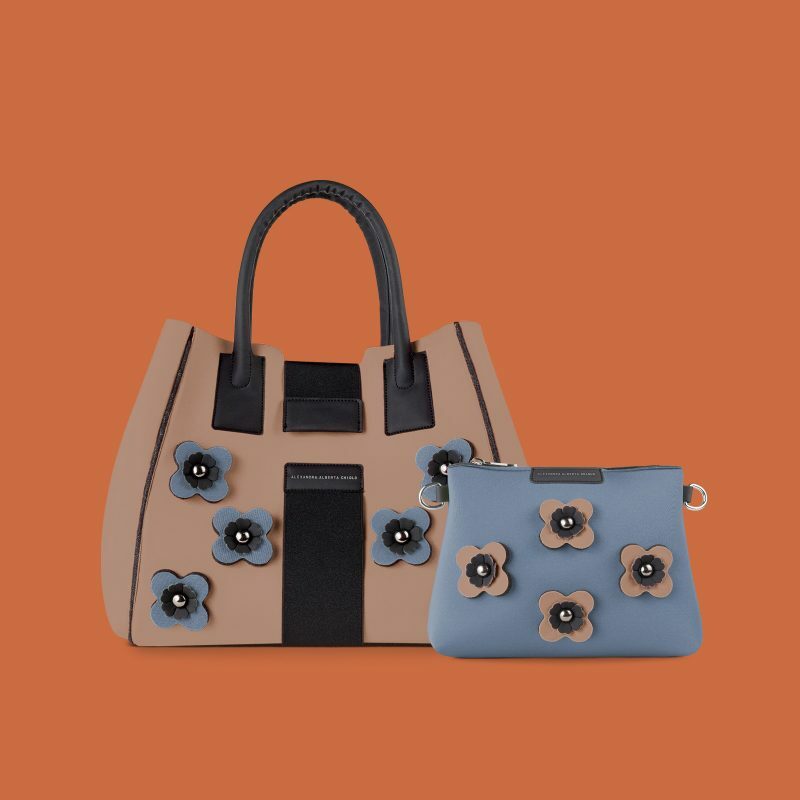 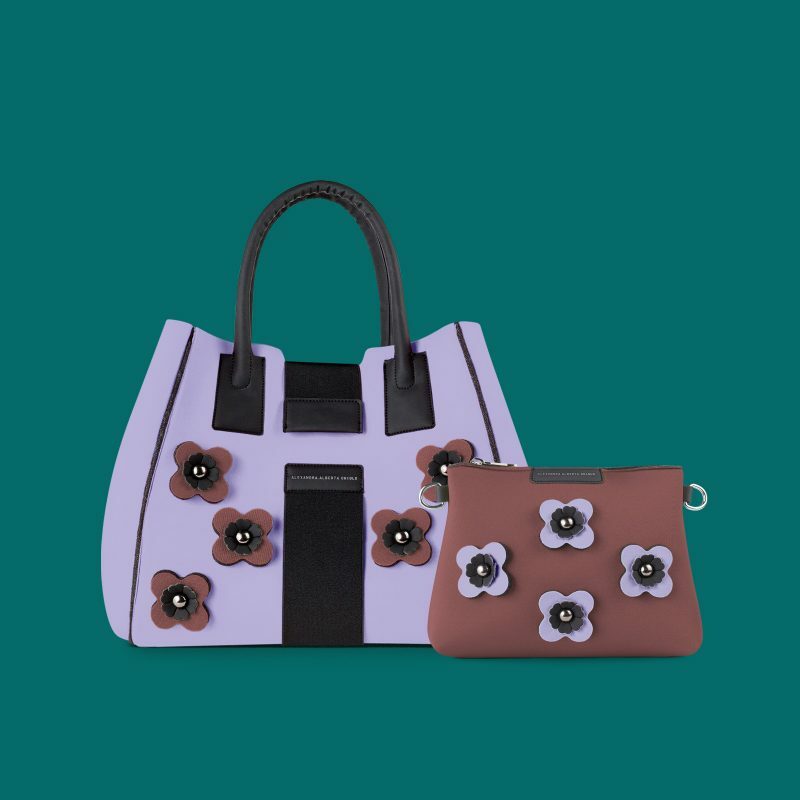 The M Bag is perfect for the summer with the playful colors of a garden in bloom and contains an organizer in a contrasting color. Made of padded Lycra, they are 100% Made in Italy, lightweight, rainproof and hand washable in cold water.